Clothing company Allen Sollythought of a unique way to launch their new line of shirts. 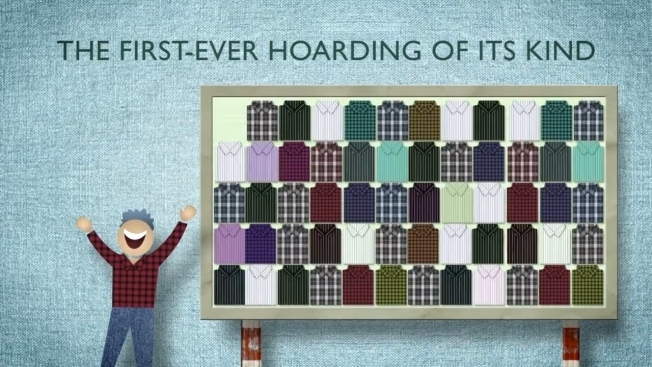 They constructed a Tweet-operated billboard, filled with their new clothes. When customers in front of the billboard tweeted the company, a shirt would fall from the vending machine and into their waiting arms. That’s a great way to garner attention, but not every company has the funds or the electronic know-how to attempt this sort of publicity stunt. At BLT Shirt Printers, we believe that an amazing line of merchandise can be a big boon to your business. Some well chosen pieces and a clever design can put your company on the map. When customers like your design, they’re more likely to wear it frequently. Every customer you have wearing your company logo acts as a living billboard for your brand – no tweeting required! Browse our online apparel catalog for inspiration for your merchandise. We offer a fantastic selection of items, from t-shirts to jackets to tote bags, evenunderwear. Whatever species you work with, BLT has a garment for you. If your business caters to fashionable canines, we have a line of fantastic doggie clothes too. Once you’ve selected your merchandise, it’s time to personalize it for your business. Upload your company logo or a graphic into our online design studiofor a chance to see how your designs will look on the merchandise. You’ll also have access to our wide range of clip art and fonts. If you don’t feel creative, come to BLT for a free consultation. Our expert graphic designers will help you come up with an eye catching logo or slogan that will draw-in customers. Whether you’re hoping to raise your bottom line or just acquire some new customers, BLT is the company that can make your business stand out. You might even raise enough money to buy a tweeting billboard.